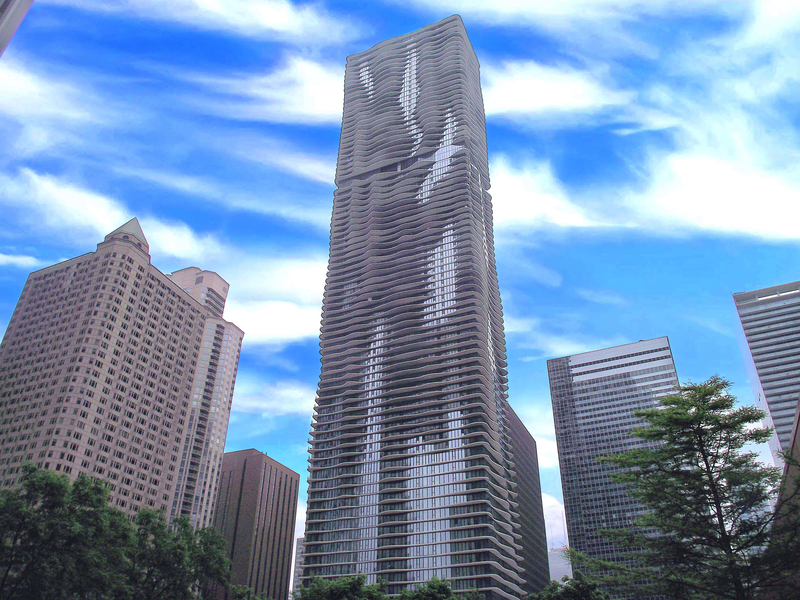 225 N. Columbus, also known as the Aqua Chicago, is a unique residential high-rise that helps define what Lake Shore East living is all about. Standing 87 stories high, condos for sale at Aqua include unique floor plans, unbelievably spacious balconies, huge floor-to-ceiling windows, and first class building amenities for residents to enjoy as well. In addition, the interior finishes associated with most condos at 225 N. Columbus provide home buyers with some of highest quality designer fixtures you’ll see of any building in the downtown Chicago area. Given Aqua is also home to an upscale hotel as well, condo owners here have full access to all the hotel amenities available in the building, including a swimming pool, a fitness center, a spa, an in-building restaurant, a business center, and even room and concierge service. Plenty of parking is also available at Aqua Chicago as well. If you’d like more information about condos for sale at Aqua or other New Eastside real estate, call our downtown Chicago realty experts with Gold Coast Realty today! Also read more about the luxury lifestyle amenities at Aqua Chicago and the building's interior finishes below as well! 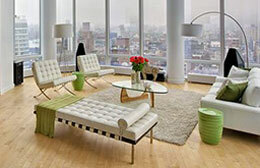 Looking for something similar to the lifestyle, amenities, or floor plans of 225 N. Columbus? Check out some great, similar offerings at 60 E. Monroe (The Legacy at Millennium Park), Trump Tower, or 600 N. Lake Shore Drive. Not seeing anything you like at Aqua Chicago? Check out other Lakeshore East condos for sale, or call Gold Coast Realty today at (312) 280-9600 for help with your new home search!